About one third the depth it had in 2014. 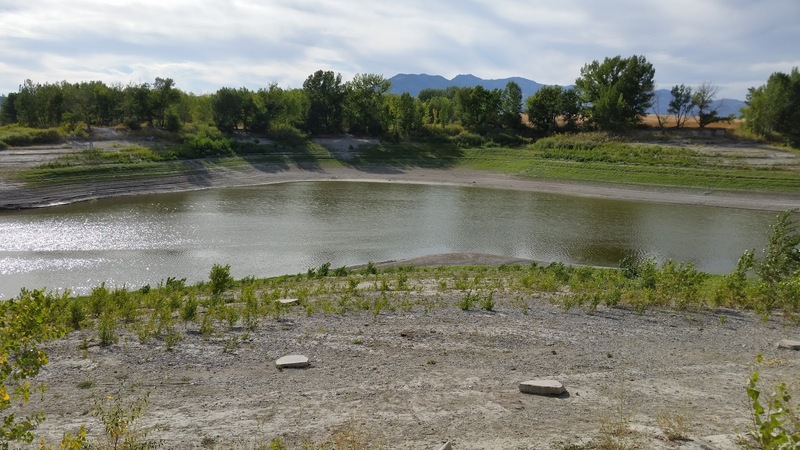 Two years haven't been easy on the reservoir as all of Utah has been in a prolonged drought. The camping experience is understandably diminished with the massive draw down and there were no boats on the reservoir probably because the boat ramp to it ended about 40 yards short of the water. Really sad, until the drought breaks and the reservoir refills I can't recommend camping at Newton Reservoir.